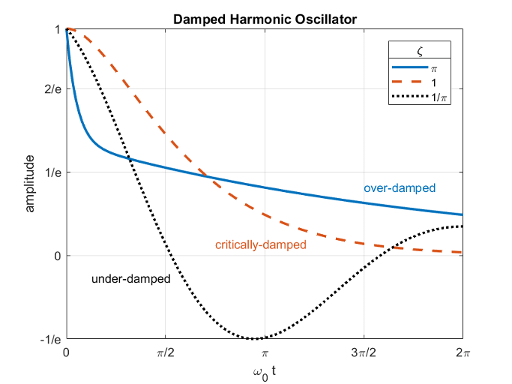 Consider a forced harmonic oscillator with damping shown below. Model the resistance force as proportional to the speed with which the oscillator moves. Rewrite the equation using c=m γ and k=m ω02 . Divide out the mass m. Now we have the equation in a convenient form to analyze. Solve the equation of motion using dsolve in the case of no external forces where F=0. 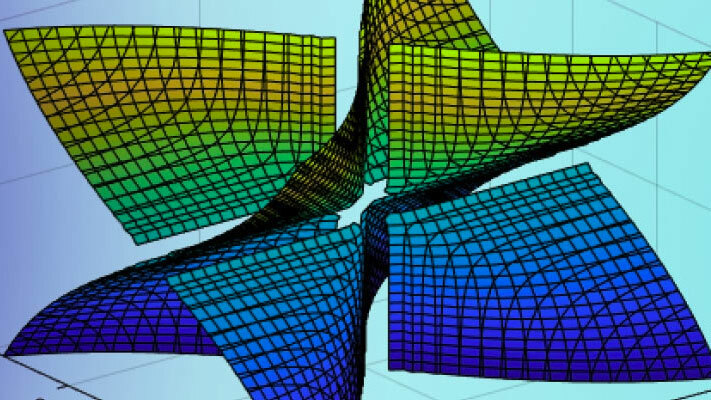 Use the initial conditions of unit displacement and zero velocity. Examine how to simplify the solution by expanding it. The term γ2-4ω02 appears in various parts of the solution. 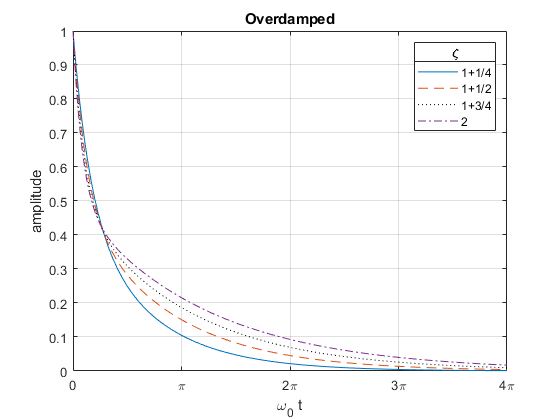 Rewrite it in a simpler form by introducing the damping ratio ζ≡γ2ω0. Notice the terms ei ω0 tζ2-1± e-i ω0 tζ2-1 in the above equation and recall the identity ei x=cos(x)+i sin(x). Rewrite the solution in terms of cos. 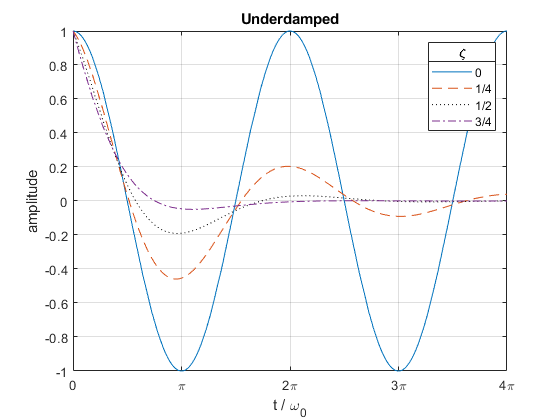 The system oscillates at a natural frequency of ω01-ζ2 and decays at an exponential rate of 1/ω0ζ. Plot the solution with fplot as a function of ω0t and ζ. Notice the terms (eω0tζ2-1+e-ω0tζ2-1)2 and recall the identity cosh(x)=ex+e-x2. Rewrite the expression in terms of cosh. Plot the solution to see that it decays without oscillating. 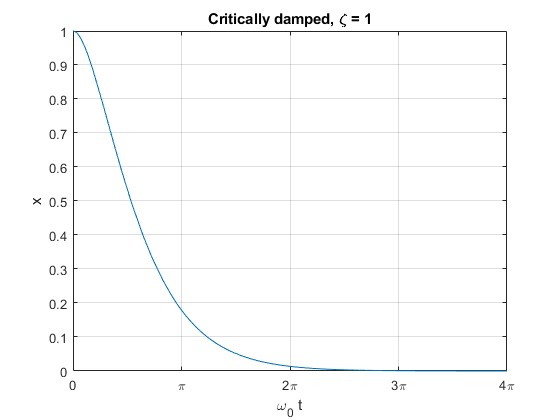 Plot the solution for the critically damped case. 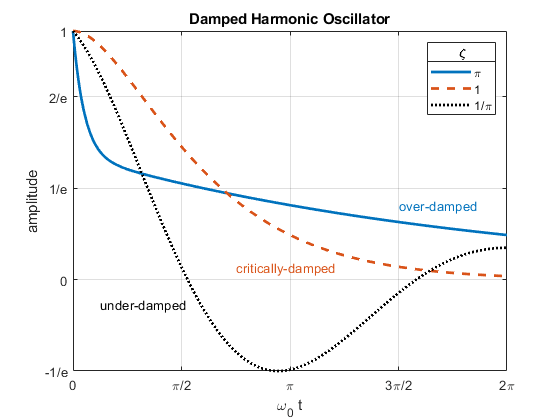 We have examined the different damping states for the harmonic oscillator by solving the ODEs which represents its motion using the damping ratio ζ. Plot all three cases together to compare and contrast them.